Gotcha Phil. Thank you for answering my question!!! Ps, I'm not furious at the expert, just furious at the traditional legal view of 'emotion' and its non-place in the courtroom. If the loss of her unborn child was a direct result of the shooting, why would Ashley Moser not be allowed to include that in her statement, particularly if asked by the PT what impact the shooting had on her life? our team is going to step away for a moment to get ready and get some other work done. We'll be back soon to handle the comments. Enjoy your lunches. If they don't allow the grandfather to testify regarding the video, and they show the video instead during Ashely's testimony, will the defense object using "hearsay" regarding the video? Or object to the submission of the video altogether? @AM I am so very sorry to hear about your loss. My babies are 23 yrs (son) and 20 yrs (daughter). I really don't think I could "go on" if I lost one of them. I have been a single mom since my girl was one-so they are MY LIFE! I cannot even imagine losing one of them to a monster like this. My heart is breaking for each and every one of these people. The family taking the stand on behalf of their loved ones are so very strong and I commend them for doing such a wonderful job. I also want to thank them each for sharing their family with us. It is a true honor to get to learn about each and every one of these true angels. @Joye- not a lawyer but I am going to guess that the testimony she is giving is about the death of her daughter and the impact that THAT had on her, not the impact the shooting had on her in general. Obviously she had very significant handicaps because of the shooting. But this is a death penalty phase and even that is not a death penalty crime. So she will have to stay with the loss of Veronica and its imact. Ashley has been really victimized by the law in this case. 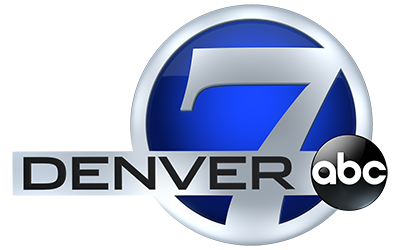 The murder of her daughter was not ruled an aggravating factor (IMO the statute is written in such a way as to confuse the jury where to place the 'intentional' in their deliberation), the killing of her unborn baby cannot be charged as murder under Colorado statutes, and the mere mention of the death of the unborn baby has been all but squelched because it is considered 'prejudicial' to JH's rights. She is the symbol of the worst losses from this incident, yet she is muzzled the most for his benefit! And even Higgs is writing Spengler notes and passing them to her during her own stare down to Mrs. Teves's. She's not allowed to stare down her son's murderer!? This DT is absolutely vile and disrespectful. AND they like their client WAY too much. I'm in TN. Hearing reports of a shooting at a theater near Nashville now. Theater Shooting in Antioch, TN. Please LORD -Make this stop!! yesterday, I asked about what JH eats for lunch during the trial breaks? Does anyone know? Does he get prison food or outside food? 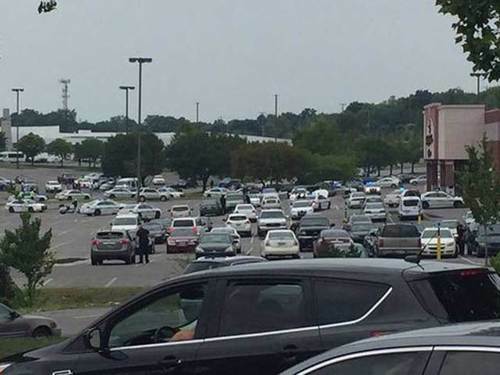 7NEWSThere are reports of gunshots outside a suburban Nashville movie theater on Wednesday afternoon. I just heard of a theater shooting in Tennessee that occurred in the past hour or two, does 7 News have any details about that situation and if there were any victims? I haven't been able to find much info but I know it is still unfolding. apparently this person may have used a hatchet.. not many details yet. This world is getting NUTS!! Sophia, I was thinking it wasn't confusing, but...intentional...on the part of the defense to put the word "intentional" in the jury instructions regarding Victoria's murder. Another movie theater shooting - in Nashville. he used a hatchet to kill people? or to get in a backdoor? He cut a couple of people with a hatchet one report said here locally.. Been to that theater a many of time. Here we go again. Another theater shooting. I sure hope 'that guy' doesn't hear about it. I am sure he thinks he has started a new trend. Just sick. No words...I think I'll go throw up now. Like I said, we are coming to a time when we will have to enter through metal detectors for any public event. Are we back in session? Had a hatchet, gun. ...more blood on Jimmy's hands. Aaaaaah!!!! Coin the phrase here and now, Suicide by Court. @Phil, you are amazing. I appreciate the job you do and your professionalism. @BluesB.... Everyone is responsible for their OWN actions. I bet he is "mentally ill". Barf. Maybe this Nash shooter truly was -who knows. Dead now. But 'Jimmy ' sure is leaving the legacy he wanted...& more. DP!!! I think if I were a witness during this phase, I would want to turn my chair so that I was looking directly at the defendant! Of course, the DT would probably object. The only time yesterday or today I've seen him look up was at some of the video. Okay, CLH. Your opinion. Mine is this: ....So this had nothing to do with JH being the first to create a "soft target" by killing unarmed unsuspecting people in a THEATER? CLH-my opinion is that this shooting had A GREAT DEAL to do with Jimmy, who was the first "theater shooter". Enough said. @LG The judge did let the miscarriage in during phase one. He considered it one of her injuries. I have an appointment, disappointed I won't be able to share the remainder of day's proceedings with you all. Keep the tissue close. There needs to be metal detectors in ALL MOVIE THEATRES!! !